In August 2016 I was contacted by Loughborough University’s Design School who were looking for a local ‘issue’ for students on the Service Design for Social Innovation Masters course to design solutions for. I’m a member of Loughborough Archaeological and Historical Society (LAHS) and a volunteer at the Old Rectory Museum in Rectory Place, a medieval structure which is all that’s left of the original rectory to Loughborough Parish Church. Members of the Society campaigned to save these remnants when the Georgian exterior was demolished in the late 1950s, securing listed status for the site and opening a small museum there shortly afterwards. Set back from the street and partly obscured by surrounding buildings, the LAHS has problems attracting visitors to the museum as well as finding volunteers to staff it during the summer months. Last Autumn I told this story to a new acquaintance – Rose Deakin of The Crop Club – over a pint in the pub. An acquaintance who just happened to know Carolina Escobar Tello of Loughborough Design School. Dr Escobar Tello – a Lecturer in Industrial and Product Design with a specialism in ‘design for happiness’ – invited me up to campus for a coffee. Might we be interested in 30 or so postgrad students creating solutions to the Old Rectory’s sustainability problems, she asked? 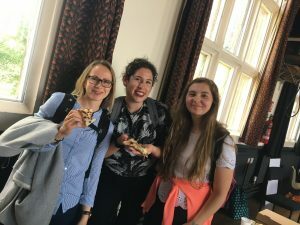 Previous cohorts studying the relatively new module had come up with ideas for increasing footfall to Loughborough’s mid-week farmers’ markets and for encouraging the University’s student population to engage with the heritage of the town. Our contribution to the project would be to make the museum available to students when they needed it, provide participants for occasional Wednesday-afternoon stakeholder meetings and to help evaluate the solutions the students eventually chose to develop. In return, students would work in groups of 6 to dig deep into what was going wrong for the ORM and generate cost-effective, workable solutions for turning things around. I immediately said we’d love to be involved. Luckily, the LAHS committee agreed! 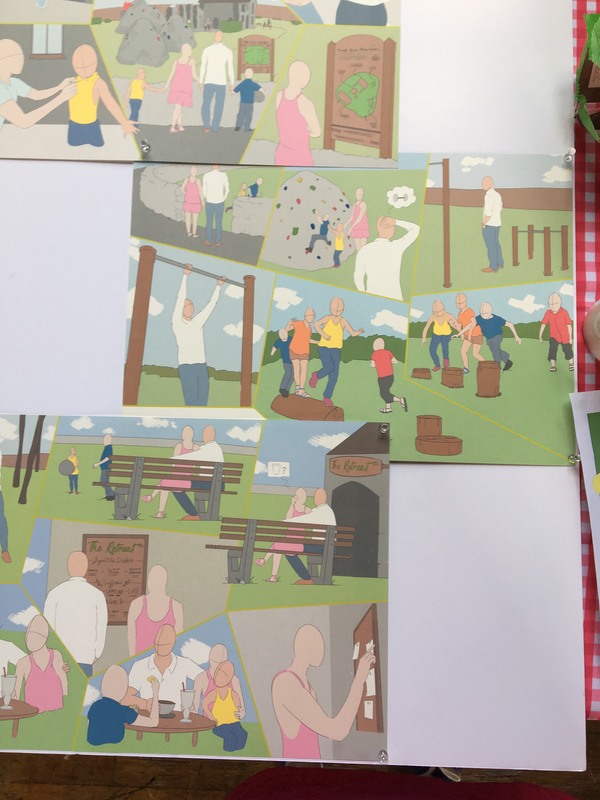 Altogether, a core group of committee members attended 6 workshops with students and members of the public, answering questions about the site and weighing up the viability of the 3 initial ideas each group drafted. 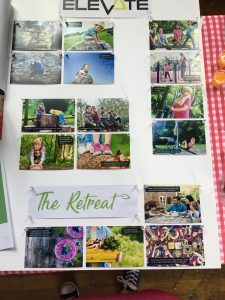 At the end of project presentation at Fearon Hall in May, the 6 groups presented their final designs, complete with the rationale behind them, information they’d gathered from the local community, a mock-up of a potential ‘user’s journey’ of the site, and branding and graphics. You can see the videos they also made as part of their coursework here. So, what was in it for us? I was completely blown away by the effort the students put into the project, from canvassing the opinion of people in the town to extensively researching the potential of each idea. 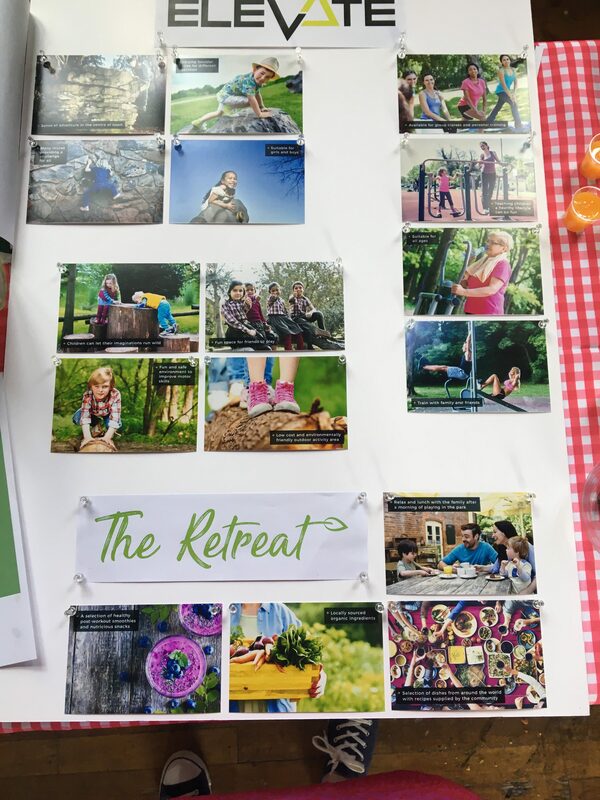 One group hired a stall on the Saturday market and interviewed shoppers, and another staked out the Old Rectory at different times of the day to see what might be putting people off using it. Their findings were eye-opening – and shared with infectious good humour! It was good to have our thoughts about the issues confirmed and looked at with fresh eyes. Good, too, to learn about problems we hadn’t thought of and which might be easy enough to fix now that we have. 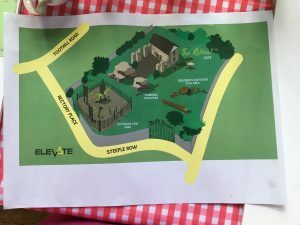 The consultation meetings drew in a body of people interested in the Old Rectory who we’d not have known about otherwise and who look set to swell our band of volunteers. They also connected us with two other heritage buildings in the area – Fearon Hall and the Parish Church – who share history with the Old Rectory, as well as some of its issues. We’ve already begun small collaborations with these organisations (including a forthcoming guided talk of the church, see here for details) and are hopeful of more in future. Best of all, though, we’ve gained a ‘youth’ perspective on the Old Rectory – an age group we desperately need to engage for its long-term future – and been introduced to potential solutions completely outside of our experience. Several of the groups signposted viable ways to make their solutions possible and we intend to move forward with some of those ideas, chasing sources of funding they identified and establishing further links with the University, this time with the computer design department. As a body of volunteers dedicated to keeping the Old Rectory open and used by the public, we’ve been injected with a new sense of purpose and the very real hope that it may not have to close as we’d feared. But even if nothing concrete were to materialise for the ORM (and I’m sure that it will! ), at the very least the project brought about a greater understanding between our ‘town and gown’ communities and between the differing generations who took part in it. Thirty-six students have been introduced to the history and heritage of the town in which they study and which, as has been documented, very few venture into beyond the supermarkets at its edge. And our community participants went away with a clearer, more positive understanding of today’s young people, their creativity, work ethic, interests and concerns. More than anything, the project was fun. Counter to representations in the media, young people today are pretty amazing and it’s been a real pleasure to meet and chat with so many of them. And to see them when they come back to visit us at the museum, as so many of them already have. Alison Mott is a local tour guide, Treasurer of Loughborough Archaeological and Historical Society and a long-standing volunteer at the Old Rectory Museum, Rectory Place, Loughborough. See here for information about Loughborough Archaeological and Historical Society and the Old Rectory Museum, here for information on the historic Fearon Hall and here for information on All Saints with Holy Trinity (Loughborough Parish) Church. Some of the Design students enjoying pizza at the end-of-project get-together at Fearon Hall. Team Elevate’s design for an outdoor gym area at the Old Rectory. A graphic of how the public might use a community garden created in the grounds of the Old Rectory.